At this point it seems like “You have to shoot stuff” must be the first chapter of Game Design 101, so any time a game comes along where combat isn’t the focus it is like a breath of fresh air for the industry. Shooting nasty alien actually seems like it would be totally appropriate in a game like The Swapper, but instead you’re solving puzzles while exploring a creepy space station rather than blasting everything in sight and I love it. Our full review has all of the details. 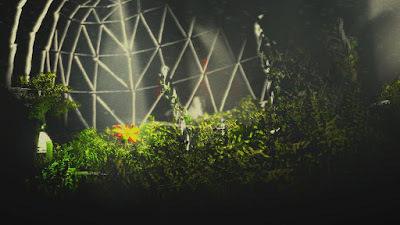 You play as an astronaut in The Swapper that is placed in a spaceship, seemingly against their will, and sent to a derelict space station. From there you have to explore and try to figure out what happened to the crew and what the strange rocks around the station really are. The story is told through text on computer terminals you find along the way. Some folks won’t like having to piece the story together themselves, but I like it. 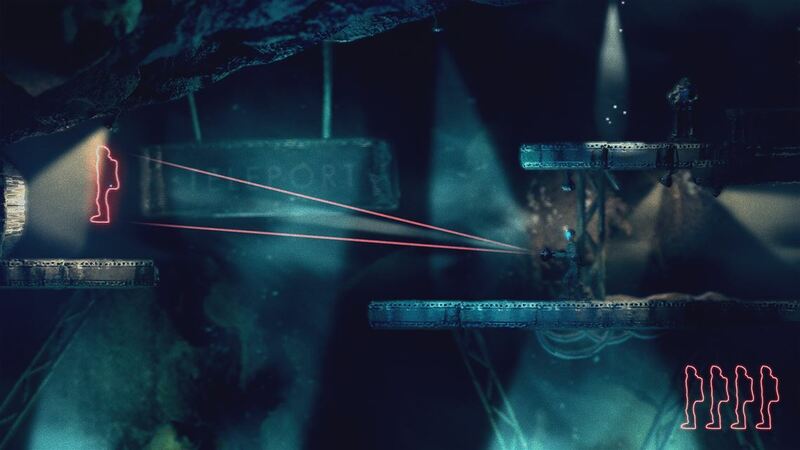 The Swapper is a 2D platformer with puzzles as the focus rather than combat. You find a device early on that lets you make up to 4 clones of yourself as well as transfer your consciousness to one of those clones. When you transfer consciousness, that clone becomes the “real” you and all of the other clones mimic whatever the real one is doing. When you jump, the others jump. When you walk right, they all walk right. Etc. The device allows you to materialize clones at a decent range all the way across a room, too, so the puzzles revolve around placing clones in the right spots to start with, moving if you need to, and finding the item or exit or whatever you need to make progress. The puzzles ramp up in difficulty fairly quickly, of course, as colored lights are introduced that change what you can do in a given room. A red light lets you create clones, but the “real” you can’t pass. A blue light allows consciousness transfer, but not clone creation. When the red and blue lights mix into purple, you can’t do anything in that area. Gravity manipulation is also eventually introduced, which ramps the puzzles up yet another notch. The Swapper can be a difficult game as the puzzles start getting pretty obtuse fairly early on. It is one of those games, though, where you’ll get frustrated with a puzzle after multiple attempts and then come back an hour later and know exactly what to do. It is challenging and satisfying, but most importantly, fresh and unique compared to other 2D platformers. One sort of nitpicky complaint is that the space station you explore doesn’t feel remotely like a real place. This was supposedly a place where hundreds of people lived and worked, but it is just a collection of puzzle rooms with the keys scattered all over the place. It doesn’t make any realistic sense, kind of like the Spencer Mansion in Resident Evil. The architects that built these places need to stop getting work. Presentation in The Swapper is nice as it is a fantastic looking game with fantastic sound design that really drives home the fact you’re exploring a creepy space station. The lighting is well done throughout and I really like how each puzzle room has a distinct visual look instead of the whole station looking the same. If you’re looking to take a break from shooting everything in sight, The Swapper is an interesting take on the 2D “Metroidvania” genre. 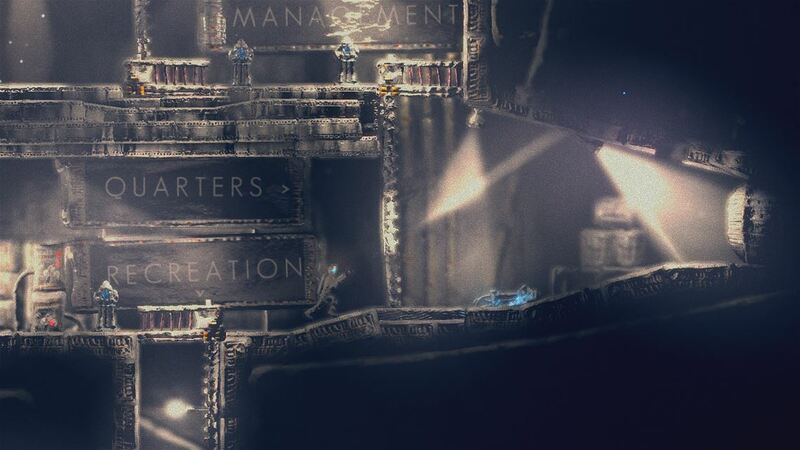 The puzzles can be pretty challenging even early on, but it is a very satisfying game overall and the story it tells, and storytelling style it uses, make The Swapper a pretty fantastic and worthwhile experience. Definitely give it a look.